‘Bhunamansana’ means Spinal Twist Prostration pose and means ‘Greeting the Earth’. As the name suggests ,it’s final pose twists the spine completely. This spinal twist improves the flexibility of the back and pelvic region. 2. Place both the hands on the side of the right hip. Move the right hand slightly further away from the body with the fingers pointing backwards. 4. Twist the trunk 90 degree to the right, using the arms and shoulders as levers. Slowly bend the torso and bring the forehead to the floor, close to the hand placed behind the body. The spine should be as straight as possible. Try to keep both the buttocks on the floor. 5. Hold the final pose for a few breaths then repeat the pose on the other side. This completes one round. 6. Practice upto 4 or 5 rounds. Inhale deeply then exhale while twisting and bending. Place one elbow on the floor if there is shoulder pain. Don’t lift the buttocks off the mat or try to minimize the lift. Don’t do this asana if you have a back problem, peptic ulcer, hernia, hyperthyroidism, high blood pressure or heart problems. 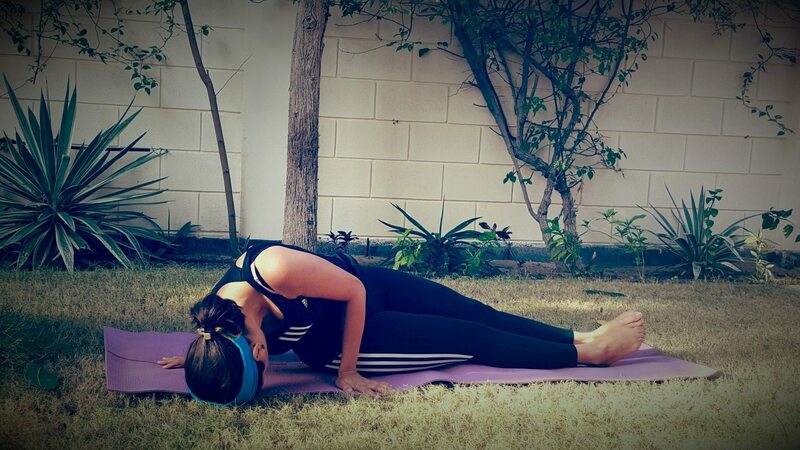 This asana stretches the spine and lower back, making the muscles supple and stimulating the nerves. It strengthens the muscles of the chest while relaxing the deep muscles of the back.